Weighted box sash windows were introduced as a modern feature in Georgian homes. Technology has changed unbelievably since these times, but such a design classic will never go out of style. 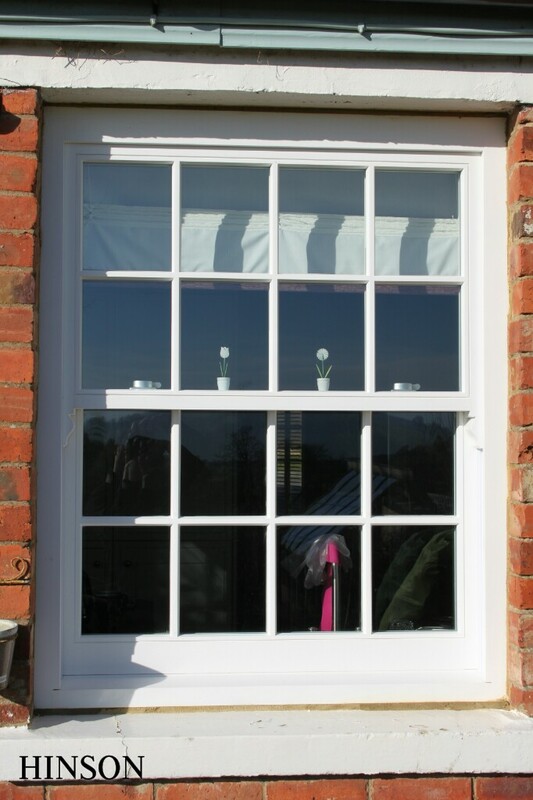 HINSON Custom Made still use time tested methods in the construction of wooden sash windows. We combine modern joinery techniques and energy efficient double glazing with original methods, to ensure that our windows look stunning and stand up to modern requirements. On listed buildings and in conservation areas retaining original features is a priority. If you need to replace, reinstate or repair sash windows, HINSON Custom Made will create the dimensions, style and finish that you need. If you are restricted to single glazed sash windows, we also offer a 4mm puttied option, with internal sash profiles matching the original designs.